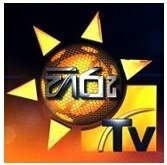 General TV Channel / Hiru TV is a television channel in Sri Lanka, owned by Asia Broadcasting Corporation. Hiru TV is Sri Lanka's first and only digital television channel which has the DVB-T2 pictures and stereo sounds. It currently holds all island coverage. Its programme content includes: Teledramas, International TV Series, Music, Movies, Documentaries, Entertainment, Political, Children's Programmes and News.